We’d love your help. 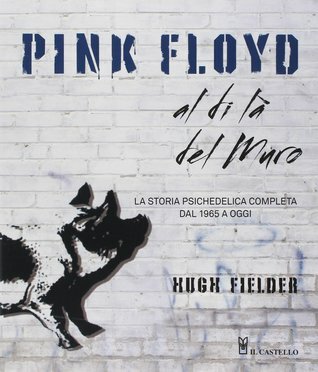 Let us know what’s wrong with this preview of Pink Floyd al di là del muro by Hugh Fielder. La storia completa dei Pink Floyd, una delle band più influenti del rock, dal 1965 a oggi. To ask other readers questions about Pink Floyd al di là del muro, please sign up. Nothing really new here but a nice, comprehensive biography of the band. A nice read for longtime fans but probably better suited to folks unfamiliar with the group's history. It'd be a nice entry point for folks new to the band. 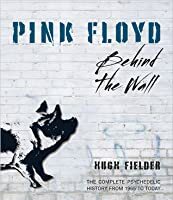 I love this book - not only because I love Pink Floyd, which I do, but because Hugh Fielder provides a beautiful, detailed, articulate bio complete with numerous gorgeous photos. The book quality itself is excellent - heavy paper with sheen to enhance all the pictures, a large wide book in many ways. I don't give 5 stars freely. In my opinion this author is well informed, expresses the story wonderfully, captures the feeling of Pink Floyd entirely - the music, the lives of band members, and most I love this book - not only because I love Pink Floyd, which I do, but because Hugh Fielder provides a beautiful, detailed, articulate bio complete with numerous gorgeous photos. The book quality itself is excellent - heavy paper with sheen to enhance all the pictures, a large wide book in many ways. I don't give 5 stars freely. In my opinion this author is well informed, expresses the story wonderfully, captures the feeling of Pink Floyd entirely - the music, the lives of band members, and most of all - I can feel the love. Hugh Fielder is from Cambridge, England where Pink Floyd has their roots. Hugh is a homeboy, he understands the culture behind their music. I learned much from reading 'Behind the Wall'. Some previous background info I had but here everything fits together in an uplifting and truthful story. Included are bits of interview statements from members of the band at key points (and many highlights exist in their illustrious careers) to allow the reader to know what the mood and feeling was at various moments. Congrats and kudos, to Hugh! As well, this year 2014 marks the 50th anniversary of the British invasion with the Beatles! A good way to celebrate is reading about the history of Brit music, including this bio of one ultra cool band, Pink Floyd. Na het lezen van Pink Floyd: Behind the Wall hou ik nog meer van Pink Floyd. Deze verhelderende bandbiografie verschaft de lezer anekdotische weetjes die hem naar een koptelefoon doen grijpen om dat ene nummer nog maar een keer aandachtiger te beluisteren. Maar Fielder kadert de verschillende albums ook heel knap in een overzichtelijke bandgeschiedenis en, ruimer, in de cultuurhistorische context waarin de band zich ontwikkelde. Bovendien bevat het boek een schat aan fotomateriaal. Daardoor knij Na het lezen van Pink Floyd: Behind the Wall hou ik nog meer van Pink Floyd. Deze verhelderende bandbiografie verschaft de lezer anekdotische weetjes die hem naar een koptelefoon doen grijpen om dat ene nummer nog maar een keer aandachtiger te beluisteren. Maar Fielder kadert de verschillende albums ook heel knap in een overzichtelijke bandgeschiedenis en, ruimer, in de cultuurhistorische context waarin de band zich ontwikkelde. Bovendien bevat het boek een schat aan fotomateriaal. Daardoor knijp ik graag een oogje dicht voor het feit dat de vertaling een beetje braaf en zelfs wat schools overkomt in haar benadering van deze materie (we're talking Pink Floyd here!). Un emozionante viaggio all'interno della storia, delle personalità e dei momenti significativi di uno dei gruppi Rock più famosi di sempre, nonché uno dei miei gruppi più amati, i Pink Floyd. Si imparano molte cose, si conoscono molte curiosità e si sfatano miti che si avevano in precedenza. Un'ottima risorsa per conoscere la vita di una band tra successi e cause legali che mi ha fatto affezionare e capire molto di più la loro musica.